We sat down with industry expert, Reggie Gaudino, Chief Science Officer at Steep Hill Labs, to discuss various topics surrounding the cannabis industry. 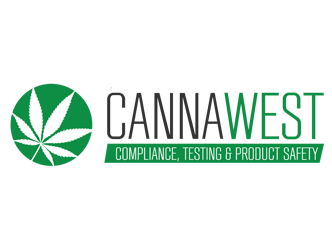 The Canna West Summit 2018 is the best place to connect and hear from with state regulators, learn from peers, and absorb best practices from the entire value chain. The opportunity for operators in the canna space is startling. Estimates suggest that the combined medical and adult-use market may be worth $5 billion by 2019 in California alone, while the forecasts for national and global canna markets are revised, upward, on a daily basis. The demonstrated ability of cannabis use to lower America’s $12 billion-plus opioid drug tab suggests that those estimates may be conservative. However, in order to take advantage of this remarkable opportunity to do good and do well, industry players must navigate a new and evolving regulatory framework. The introduction of regulation in the space has created novel challenges in order to ensure product safety, manage liability and deliver efficacy for every part of the canna supply chain. To take just one example: testing labs suggest that 80% of California-produced cannabis still tests positive for pesticides, which has resulted in the scheduled introduction of mandatory testing in the state. State regulators and health officials—in unmatched numbers—will be sharing notes and driving operators towards uniform testing, labeling, operational standards, protocols and best practices. A highly respected physician from Maryland, with experience building and operating cannabis testing laboratories in two of the most regulated states in the U.S., Dr. Rosenstein has served on the Steep Hill Board and is a licensee of the company. He currently operates Steep Hill Maryland, Steep Hill Pennsylvania, and Steep Hill Washington, D.C. Steep Hill Pennsylvania is fully ISO 17025 certified and the Maryland lab will be completing its accreditation process by the end of the month. Both labs combine state of the art science along with highly validated methods to ensure accurate results for the patients of both states. As part of Merida's increased investment, Jeffrey Monat, a partner at Merida, has joined the Steep Hill Board of Directors. He is joined by recently appointed board members Brett Finkelstein of Phyto Partners and successful entrepreneur and investor Stephen Finfer. In making the announcement, Mr. Monat said, "Merida is pleased to announce our increased investment and is eager to transition Steep Hill to a more operationally-focused company. We thank former CEO Jmîchaeĺe Keller for his leadership and vision in making the company a global leader in cannabis science and testing. We are excited to bring Dr. Rosenstein's tireless passion for patient care and safety, his business experience and lab testing expertise to this important role."